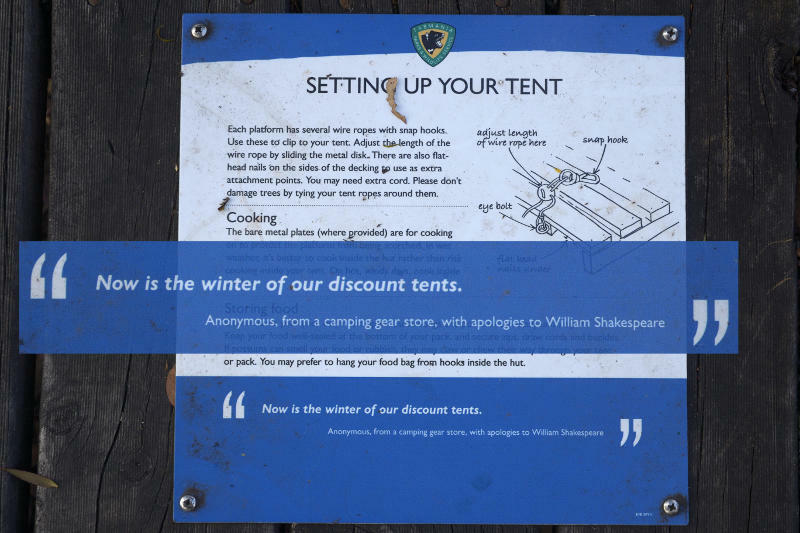 Mark's Tasmanian Bush Blog: The winter of our discount tent? On the tent platform at Kia Ora, I found this quote on the instruction plate for setting up tents. I have previously mused on this, having first seen it long ago in Wild magazine. I'm probably mishandling someone's copyright here, and if so, I'm happy to remove, but this is a very funny cartoon and I think it's worth having it available. 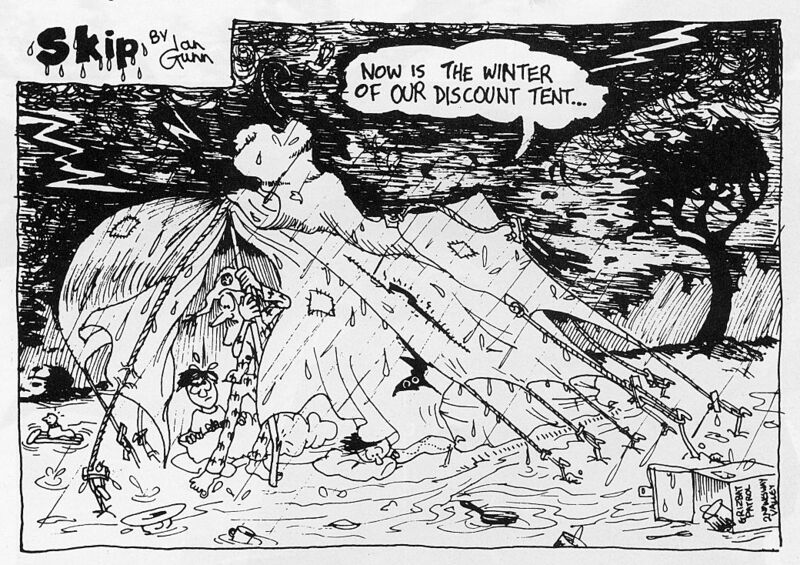 Given the quality of the tents some people carry on the Overland Track, there's some relevance here. Cartoon by Ian Gunn. From Wild magazine, page 27 of Issue 25, Winter 1987.